Available exclusively at The Symphony Store May 4, 2018. Available worldwide May 18, 2018. Riccardo Muti is the greatest living interpreter of Verdi's music, applauded by the critics and audiences around the world. This collection includes 11 complete operas, the Requiem, and the Four Sacred Pieces, offering an immersive experience of Verdi's repertoire. 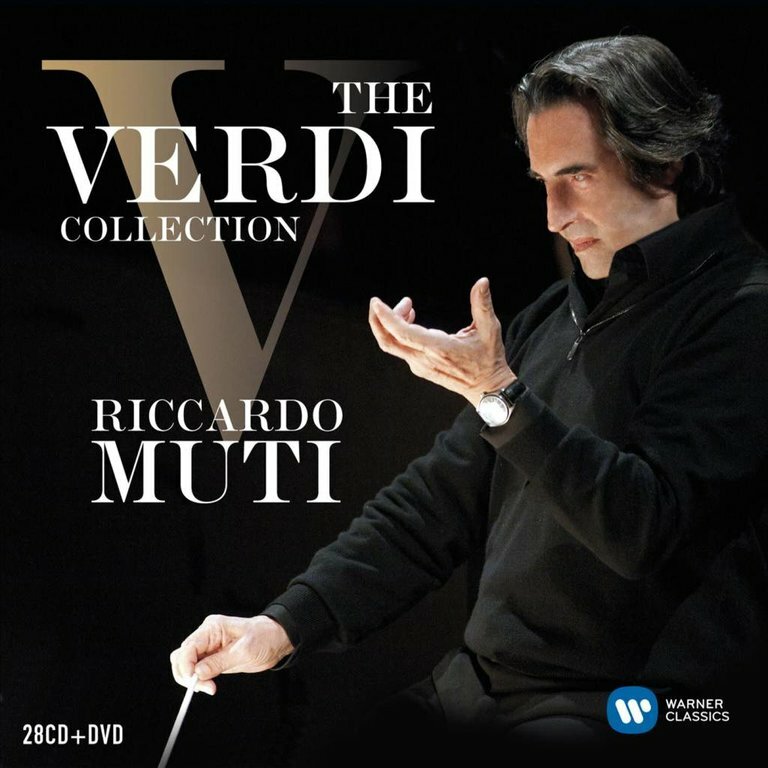 Drawn from the EMI catalogs and covering more than 20 years of cooperation between Riccardo Muti and the historical English label, each recording included in this box set is a masterpiece and an example of Muti's one-of-a-kind interpretation of Verdi's music. The DVD documentary is a special companion to the collection as Riccardo Muti himself leads us through rehearsals, works, and concerts, in a fascinating journey into the depths of Verdi's music.